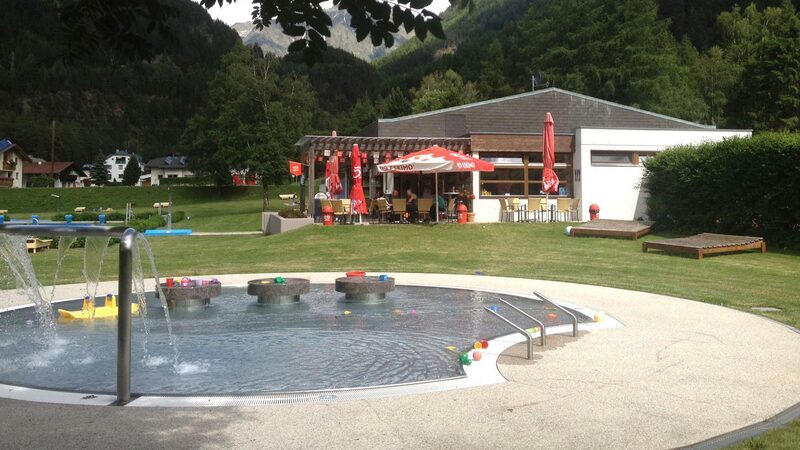 At a mountain lake or in the outdoor pool, at an adventure bath or in the forest swimming pool, at the thermal spa center or in the indoor pool: in Ötztal young summiteers can reach one of the ultimate water and swimming hot spots in no time. As legend has it, a dragon once lived at the bottom of lake Piburger See. Sometimes he crawled out of his hiding place and went down to the creek. Why do people know that? Because the dragon’s venomous breath colored the path in red. Today young walkers no longer fear the dragon: when the area around lake Piburger See is shining all in red it’s just flowers or umbrellas from the lakeside beach. The little ones don’t scream because of mythical animals – the sun tickles so wonderfully and you can do the crawl in turquoise blue water to the floating island in the middle of the lake. A scenic alternative: gliding across the lake in a rowing boat! 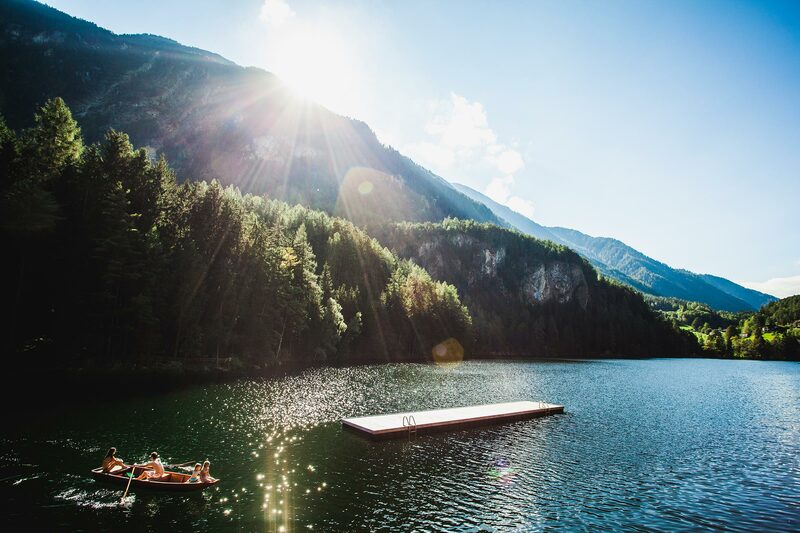 Lake Piburger See at 900 m above sea level is not only one of Tirol’s highest swimming lakes but it is also the warmest, although encircled by majestic mountains. As the nearby peaks, especially Acherkogel, are reflected in the clear water, lake Piburger See is also called the “mirror of the mountains”. 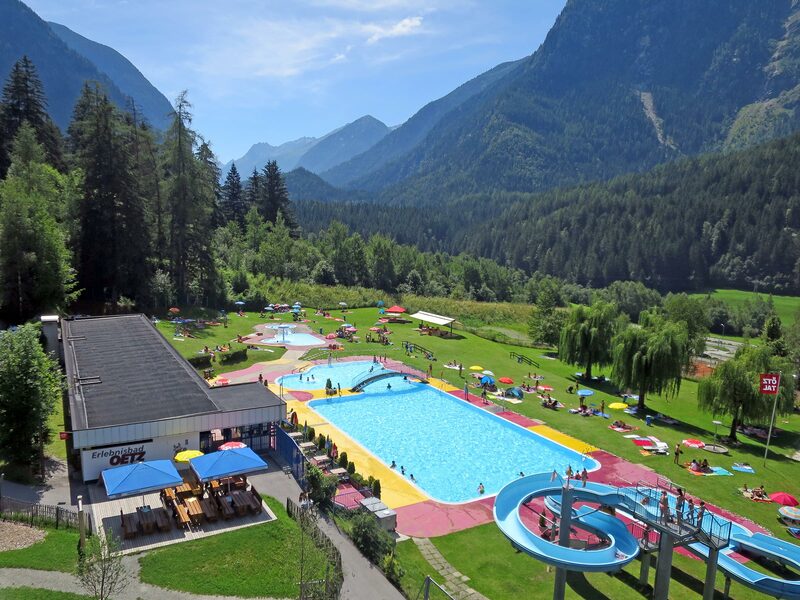 It’s only a short drive from lake Piburger See to the adventure swimming pool in Oetz. Endless water adventures are scheduled for all the family at the edge of the forest, below the colorful gondolas of the Acherkogel mountain lift. Among the highlights ranks the 50 meter long waterslide where all swimming fans are shouting “Hui!” unanimously when they splash into the pool. But wait, what’s going on over there? “Yeah, that tickles my head so nicely!” A water-spitting mushroom, a crazy air bubble and hissing fountains make sure that nobody stays dry. Umhausen boasts several Places of Elemental Energy, two of them can be found right next to each other. At the Ötzi Village outdoor museum you dive into the sunken world of the Stone Age and afterwards you jump right into pure drinking water at Umhausen’s swimming lake, an artificially created natural bathing lake. Excitement and adrenalin are in the air: “I’m going to try the diving tower!” – “I prefer swimming to the island!” – “Let’s go, I’m off now on the kids’ raft!” For parents there are also more quiet primeval waters: the reconstructed Kneipp Area at Bischoffsplatz, for example. The classic question of your kids at the swimming pool? Of course, the Längenfeld outdoor pool has many positive answers like “Ice lolly” – for example. The scenic swimming pool nestles right amidst meadows at the entrance to the village, and it’s perfectly shaded by the huge green treetops. 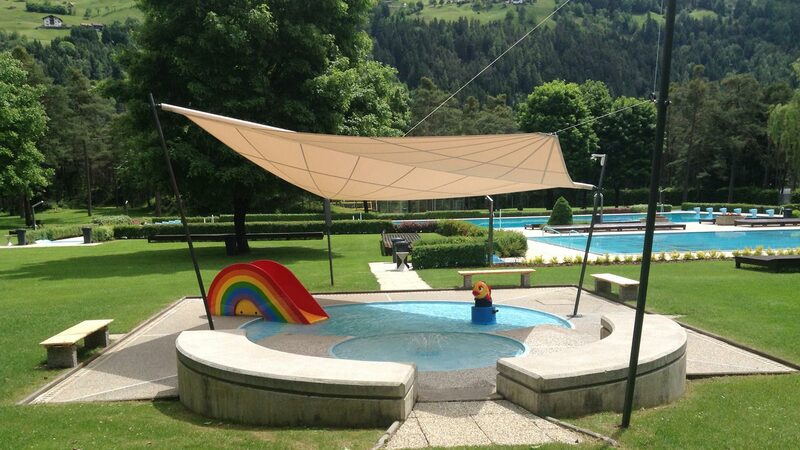 Also Längenfeld features a magnificent water slide where you will hear yells on the way down. When the water comes from above you can still enjoy fun-filled swimming hours. Rain is an old killjoy? Ha, not here! Even in bad weather you ride on a perfect wave! At the ultimate Freizeit Arena Sölden you can even hear a soft sigh every now and then and the question: “But where should I start with all these offers?” Maybe I try the whitewater channel first, then the rock grotto, the wide waterslide, the bubbling water-jet floor and the massage-jet beds. Hooray, the new kids area with the lovely AQUAKI frog mascot is really cool! Who will test the tire slide with timekeeping and cool daylight effects or the funnel slide with sound and LED show? And has the sun come out? Then you should definitely head for the new Water Fun Park with varied splash and water game attractions! At the indoor swimming bath the youngest guests explore Noah’s Alpine Noah featuring two big swimming pools on the deck of a ship while the parents treat themselves to a couple of wonderful spa hours. Who dares to climb the giant slide, who is scrambling in the “Kletterkitz” play room, and who is doing crafts in the creative “Kuckucksnest”? Don’t worry, an expert team takes care of all young water fans free of charge – all day long. The AREA 47 provides you with the last portion of unlimited adventure. 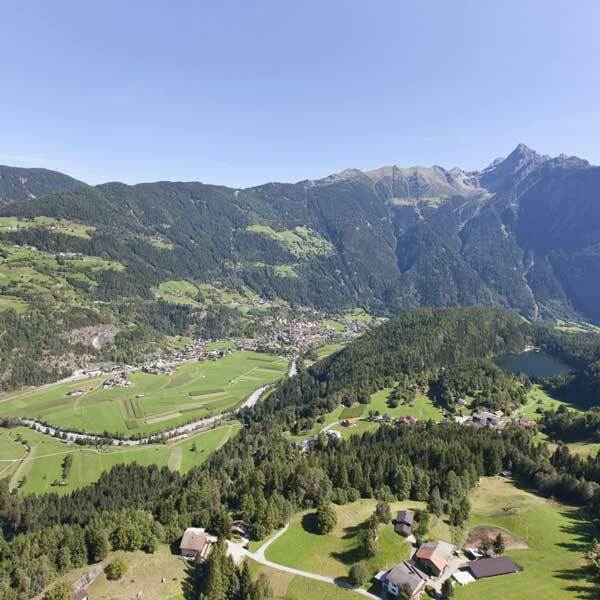 Heaps of outdoor action and plenty of water await you on more than 6.5 hectares, nestling at the fork-off to Inntal and Ötztal. 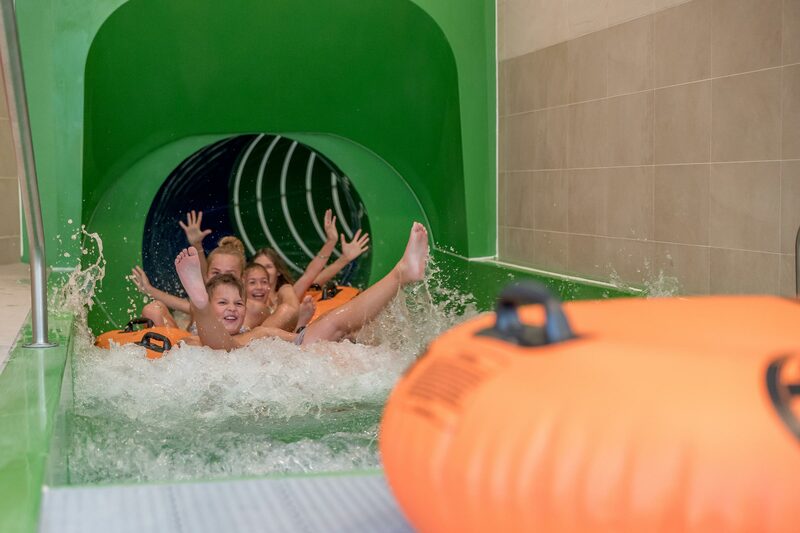 Although most of the really thrilling attractions are only accessible to teenagers (over 14 years) also the youngest water aficionados can swim, dive and romp around to their heart’s content in the Water Area – including river rafting for kids. Mini captains conquer the waves of the river Inn, knowing exactly how wonderful Ötztal’s wild waters can swirl. Always keep an eye on your children, even swimming pool attendants don’t see everything. Toddlers under the age of three should never be alone close to the water or in the water. Water wings should have the correct fit and size, two separate air chambers and an official TÜV / GS quality seal. However, the attention of parents cannot be replaced by swimming aids. Don’t let your kids jump into the water if they are overheated as their body needs some acclimatization time. Take a shower first or go into the water slowly. Please take your children out of the water immediately during thunderstorms. When swimming in a lake, keep an eye on the distance to the lakeshore. You need enough stamina for the way back. Never jump into cloudy or unknown waters and pay attention to danger or prohibition signs in surrounding water areas. Jasmin Kreulitsch, an independent writer and author, grew up in Klagenfurt/Carinthia and studied in Vienna. Later she worked as a trainee in Berlin. Today she is a renowned travel journalist in the whole wide world – also in Ötztal every summer. 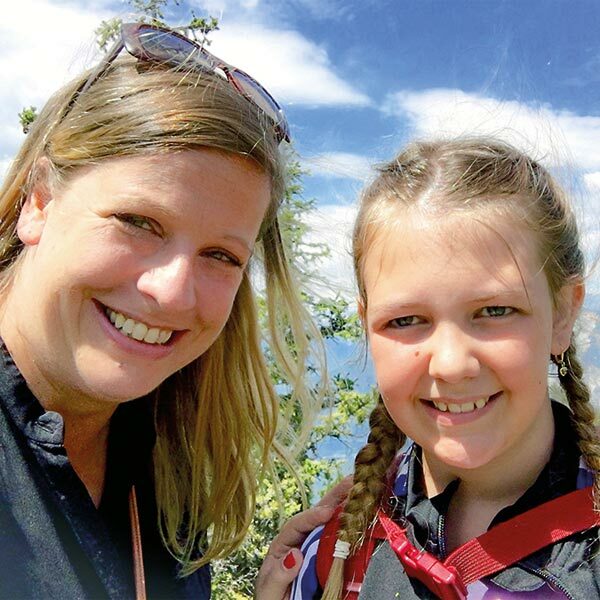 Together with her niece and child reporter Sophie, she goes a journey of discovery for the ÖTZTAL MAGAZINE to find the best and most exciting stories for adventurers and explorers of all ages. 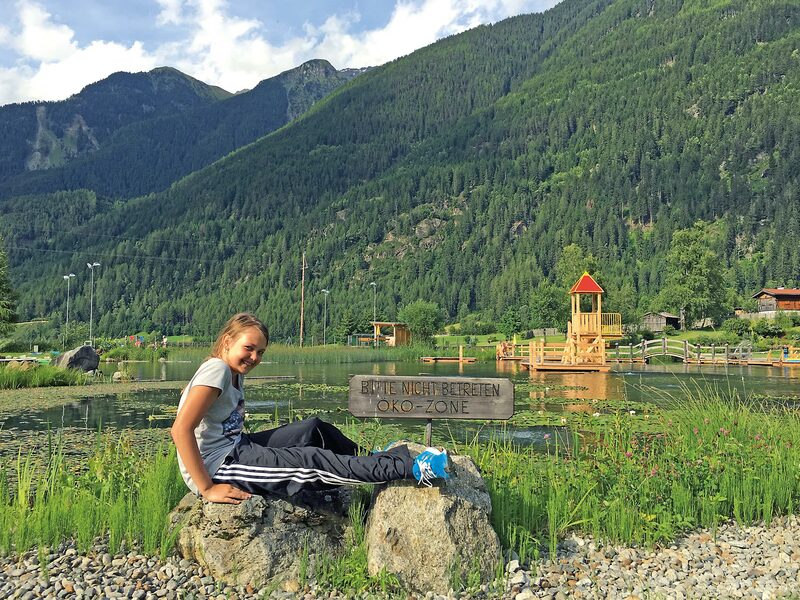 For the 2018 Ötztal Summer Magazine Jasmin Kreulitsch and her niece have written another interesting article about water fun in the valley: “Splash!”. You want to know more about all highlights? The print magazine contains the most interesting and entertaining stories about Ötztal’s spring, summer and autumn season. Available in German, English and Dutch at all Ötztal Tourismus Information Offices. At www.oetztal.com you can also order a free copy or read the online version.